Why wait to get behind the wheel of a new Chrysler, Dodge, Jeep, or Ram today! 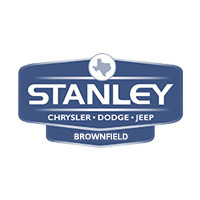 Stanley CDJR Brownfield currently has a number of lease deals across a number of models. If you are ready to take a vehicle out for a test drive contact us today, or come into our dealership in Brownfield, TX. Why Purchase a Vehicle During Our Lease Deal? Leasing a new vehicle is a great option for many people looking to get behind the wheel of a newer model, while keeping a little bit more in your pocket. Our experience team is able to help with financing and more, to help you get rolling off the lot today.